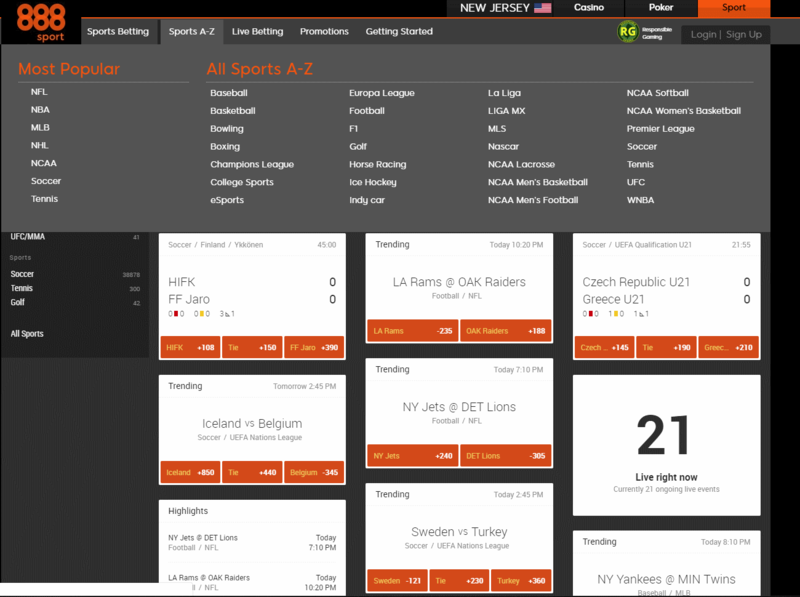 888 Holdings has become seventh operator to debut a sports betting site in the New Jersey industry, launching 888 Sport NJ in the wee hours of Monday morning. It joins William Hill, which soft launched its product last week, as only the second operator with a strong sports betting presence overseas to go live in the Garden State. 888 Sport NJ is powered by Kambi, which is also the sportsbook provider for 888 in other regulated markets and for two other NJ online sportsbooks — Play SugarHouse Sports and DraftKings Sportsbook. The book is available as a desktop client, and as a mobile sports betting app for Android and iOS-powered devices. 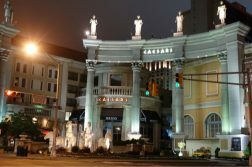 Unlike Play SugarHouse and the newly-minted Caesars NJ Sportsbook, which have intimately integrated their sportsbooks into their existing online casino platforms, 888 Sport NJ exists on a separate site us.888Sport.com. 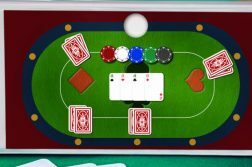 However, account information and balances are shared across the operator’s casino, poker, and sports verticals, with the book featuring the same diverse array of cashiering options as its existing NJ gambling sites, including ACH Payments, PayPal, Neteller, credit/debit cards, and PayNearMe. 888 is the only operator in the regulated U.S. online gambling market with a presence in all three states — New Jersey, Delaware, and Nevada — where at least one form of online gambling is legal. It is also preparing to launch its products in Pennsylvania, where it is partnered with Mount Airy Casino for iGaming. Pennsylvania legalized online gambling and sports betting last October, and is expected to go live with its first wave of gaming sites by the first quarter of 2019. One glaring difference between 888 Sport NJ and other sports betting apps that have hit the NJ market is the sheer number of betting markets offered at 888. Whereas the average NJ app might offer somewhere between 9 – 12, we counted 28 markets, running the gamut from popular sports such as football and baseball to more obscure offerings such as F1, La Liga, and NCAA Lacrosse. There is also a listing for eSports. However, at the time of this writing, the inner eSports betting page was unavailable. ESports originally looked to be banned in New Jersey, but regulators soon provided clarity that the law was never meant to ban eSports, adding language to emergency sports betting regulations that paved the way for eSports betting. Whether 888 plans to be the first to offer wagering on games like League of Legends and Dota 2, or if the eSports listing was just a mistake, is yet to be seen. As part of the Kambi network, 888 Sport NJ will offer the same innovations found on DraftKings Sportsbook and Play SugarHouse. This includes the innovative “Cash Out” feature, which quite literally allows players to cash out their bets before the final outcome is determined, with the payout amount dependent on current in-play odds. Kambi has also recently reimagined its popular parlay product as Teaser+, which promises to deliver greater value to bettors than traditional teaser bets. Teaser+ went live just ahead of the 2018-19 NFL Season. After a rather sorry start in the U.S. online gambling market, 888 has picked it up in dramatic fashion over the past year. On the online casino side, the operator has increased its then paltry offering of around 50 games to over 200, and now includes popular slots from NetEnt. It also finally launched its mobile casino app on Android. 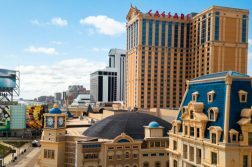 888-powered online poker sites in New Jersey began sharing liquidity with those in Nevada/Delaware this past May, resulting in a historic summer for WSOP.com, which utilizes the 888 platform. And with the launch of online sports betting in New Jersey, the operator is exhibiting a clear commitment to growth across multiple verticals, and looks to expand aggressively — a far cry from its conservative (some might even say, lazy) approach to the market from 2013-’17.